True Colors® is a model for understanding yourself and others based on your personality temperament. The colors of Orange, Gold, Green and Blue are used to differentiate the four central personality styles of True Colors®. Each of us has a different and unique personality; however, there are commonalities that we share. 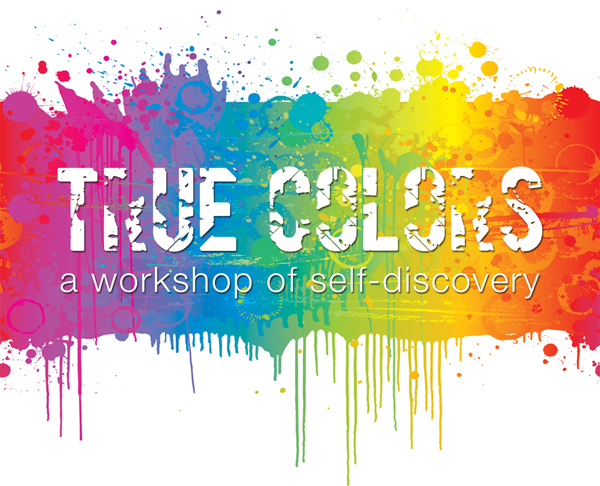 True Colors is an attempt to identify various personality styles and label them with colors. This model of categorizing personality styles is based on many years of work by other researchers and psychologists. Essentially it draws heavily on the work of Isabel Briggs-Myers, Katherine Briggs, and David Keirsey. Don Lowry, a student of Keirsey, developed the system called True Colors which uses four primary colors to designate personality types and behavioral styles. Lowry’s objective was the application of temperament or personality style to facilitate deeper communications and understanding. He hoped it would result in positive self-worth and self-esteem. The True Colors program was designed to maximize the application of psychological style in the workplace, in the family and in education and in other types of communities. The ease of understanding and use in all human relationships and interactions make this model very functional. The belief is that with increased understanding of ourselves and others that conflict will decrease. Once you learn your color and that of your co-workers, you will have a better understanding of why they behave the way they do! Each color is associated with certain personality traits or behaviors. Everyone has some degree of each color, but one color is predominant. Once you complete a quick quiz, you will get the results to identify your color spectrum. You will then obtain more information about your specific color. To register for the 2017 Annual Member Meeting & Awards Luncheon, CLICK HERE. If you would like to nominate a Volunteer of the Year, COVA Member of the Year, or a Partner/Agency of the year, please click the following link: 2017 COVA Awards Nominations Form by Friday, June 16th.